Emmanuel and Vanessa stopped by to say hello to one another. Jaylen and Aristide had a joint birthday party. I gave Jaylen the hopeless romantic trait, and Aristide rolled perfectionist. 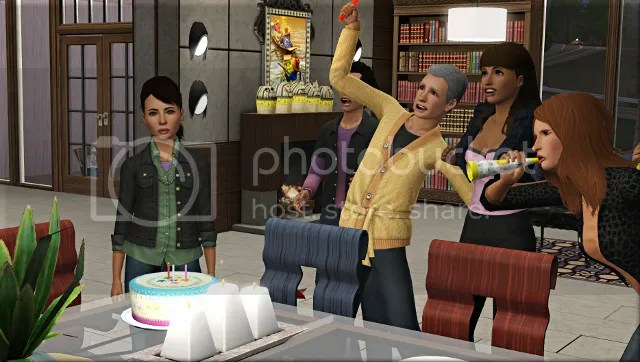 Cassandra’s birthday fell on the following day, but since a decent number of the party guests were still around when midnight arrived, I decided just to age her up then and there, giving her the natural cook trait. Candy had a secret little birthday celebration all on her own. I was keen to turn her into a real sim, but I had too many sims in the household and didn’t have the right mods installed to bypass that restriction, so I decided to move Albina, Lydell, and Timothy out. 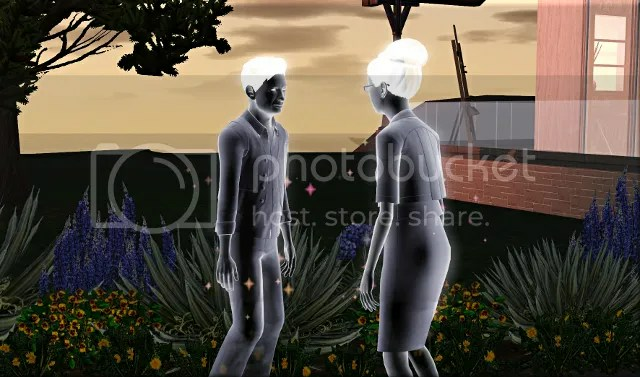 Since Albina and Timothy are heirs this is kind of against the rules, but I felt like I’d explored the potions with Albina and dating with Timothy as much I’d wanted to and was ready to move on. I got Albina and Lydell a two bedroom apartment and Timothy a little studio. Cassandra gave the potion that her mum had made as a teenager to Candy for her to drink. 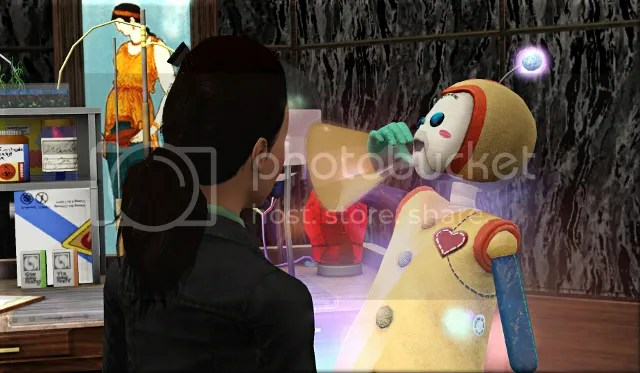 After her transformation, I took her quickly into CAS to get rid of the pudding. She is nurturing, rebellious, lucky, and has a good sense of humour. 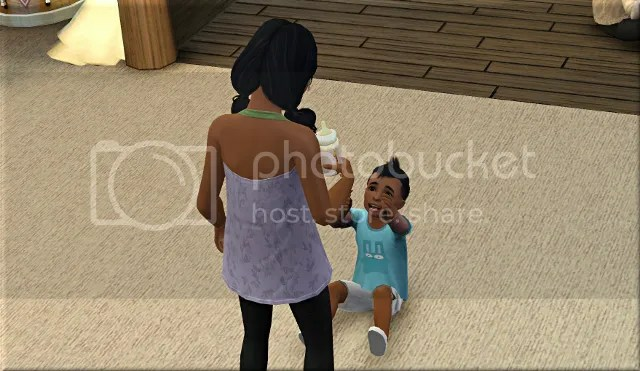 Jaylen and Imani’s little brother Keshawn was born, rolling the athletic and friendly traits. Straight after the birth, Latanya aged up. 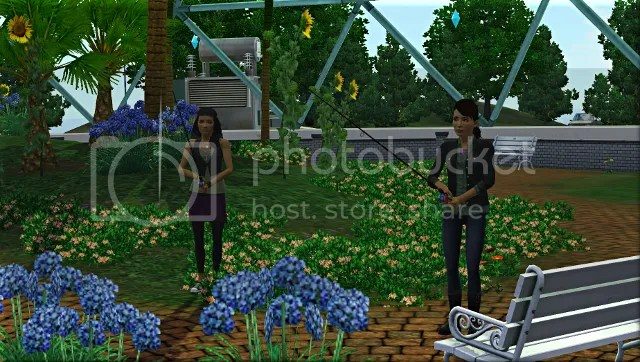 Cassandra took Maryann fishing at the Butterfly Esplanade. There aren’t actually any fish in the pond there, but it at least made a change from the beach. 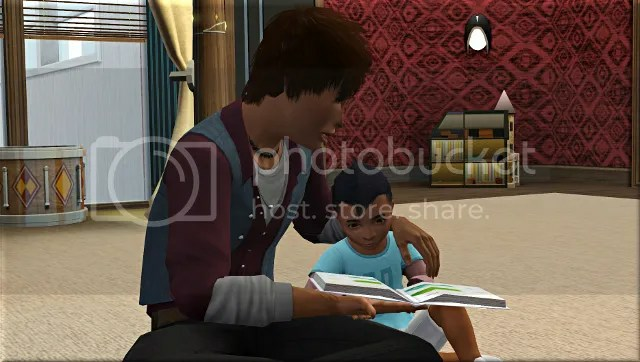 Latanya read Imani a bedtime story. 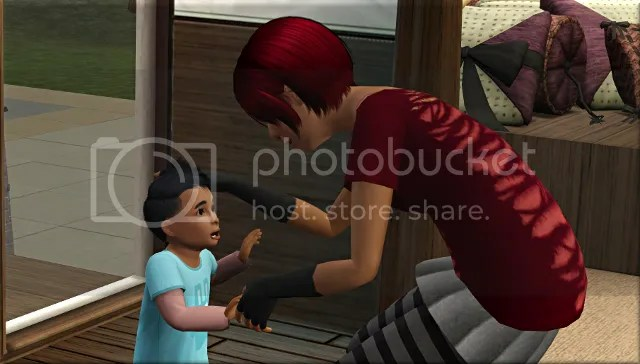 I do love the animation, but I don’t use this interaction very often because so far as I can tell you need to wait until the child is very sleepy before it becomes available. 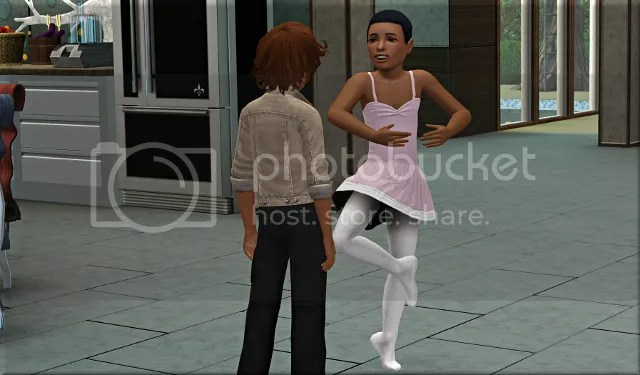 Imani had signed up for ballet classes, and was able to show off her new moves to Aristide. Cassandra shared her first kiss with Maryann. Prom night arrived and Cassandra, Candy, and Jaylen got all dressed up. But Cassandra’s date Maryann just spent the evening standing outside the house, like Timothy’s date had at his prom. Is there something I’m not doing right, I wonder? 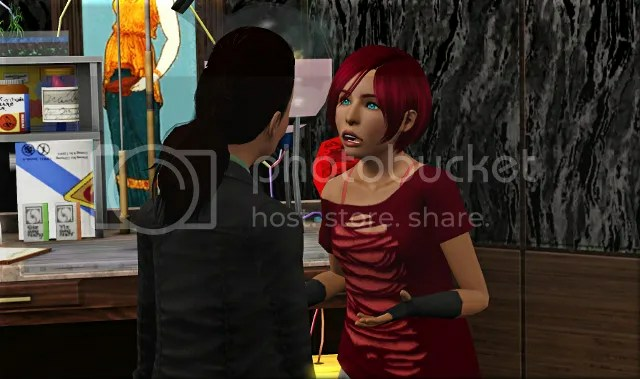 At the prom, Cassandra and ‘Maryann’ (who definitely wasn’t there) had a wonderful time together, but Jaylen’s crush refused to dance with him, and Candy got into a fight. Jaylen and Cassandra were named Prom King and Queen. The next day, Caden and Latanya were offered a free vacation, which I had them accept, leaving the kids alone in the house all weekend. There were enough leftovers in the fridge for everyone to enjoy a delicious turkey dinner together on Friday evening. They all did their bit looking after little Keshawn. 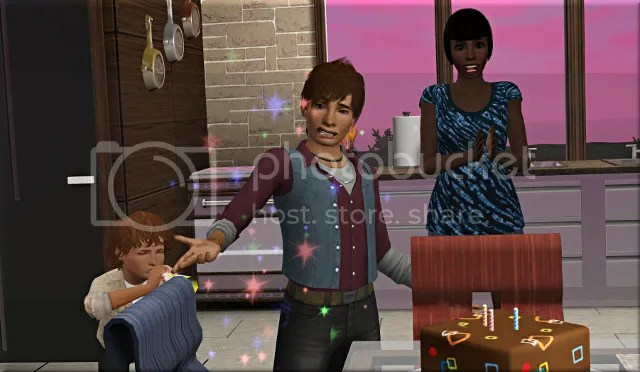 On Saturday, Cassandra threw a teen party. Everyone danced late into the night, until most of the guests had either got into their sleeping bags or just passed out on the floor. I hope you don’t mind me stopping here. 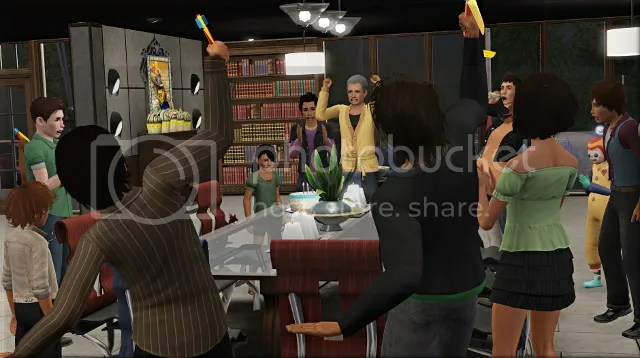 I feel like I’ve run out of Generations-related directions in which to take my play, and am keen to move on to Appaloosa Plains and the next expansion pack. There are a small number of individual interactions I haven’t shown off, but I can’t imagine that spending a sim day or so just checking them off a list would be that fun for me. 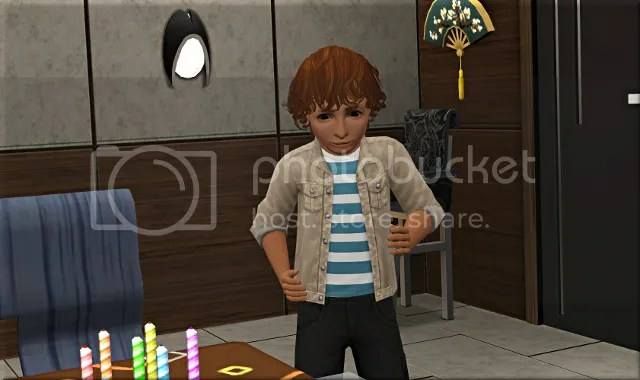 While I really value a lot of what Generations brought to the game, I wish it had some meatier content – more CAS items for our ever-neglected elders and toddlers, and even more importantly some new hobbies for all age groups. I’d have loved a little gardening station for children to use, for example, perhaps with a hidden skill similar to that built by the toy oven. 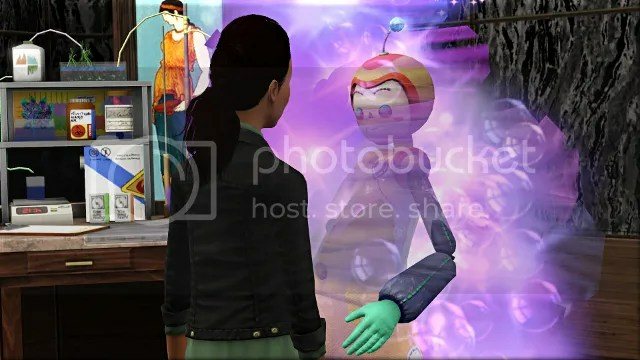 I like the chemistry set, but it doesn’t even have a dedicated skill; I’ve never personally been particularly taken with the pranks, despite their fun animations; and I think it’s a shame that potentially exciting activities and events like ballet and the high school prom are confined to rabbit holes. However, I enjoyed the daycare profession even more than I was expecting: what a great way to stay connected to the rest of the neighbourhood, even if the execution was a little off sometimes. My biggest discovery during this play through was probably the video camera, which I’d never used before. 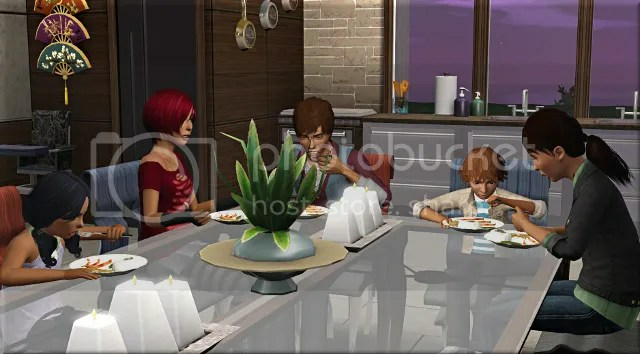 I’d be unlikely to bring it out for very special moments like wedding ceremonies, since I’d always rather take my own screenshots of them, but it’s really wonderful for capturing sims just hanging out together. I have a great video of Jaylen, Cassandra, and Candy dancing together in their formalwear before they went to prom, and I’m sure it will be nice to look back over that and the other footage I took in the future. Thank you! Oh, wow, I absolutely adore the idea of a senior center! 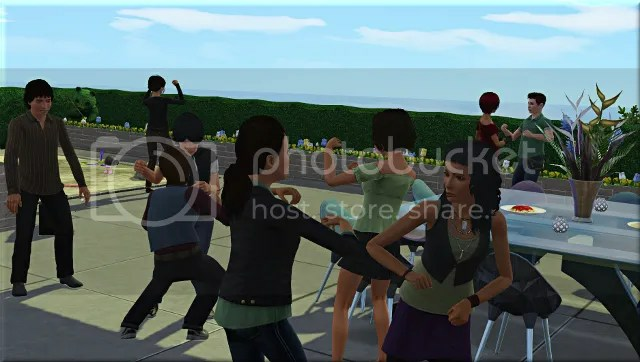 A teen hangout lot that attracted only teens would be wonderful too; I’m sure they can do that, since many of the lot types mainly attract certain types of sims. I’m looking forward to Pets too. I don’t think I’ve played Appaloosa Plains since its release, but I remember it being very pretty. 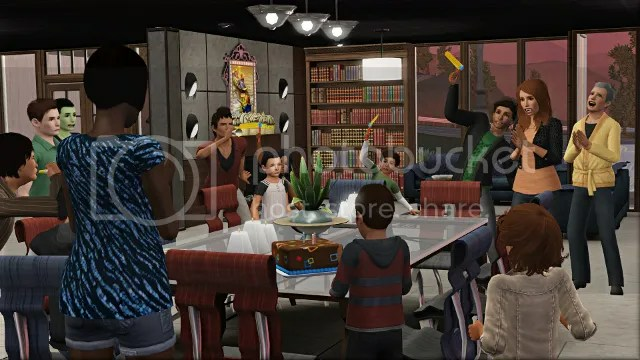 It is very pretty, I always remember it because it was also the first EA world to have custom ambitions lots and a custom bar for those that own ambitions and late night. 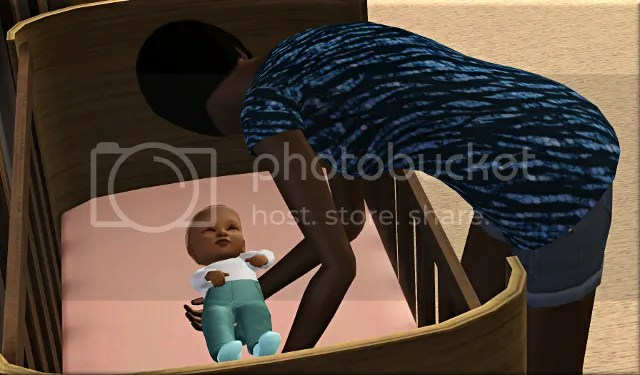 One thing I never forget about it is how many npcs are pregnant at the load up of that world. I had story progression and ageing turned off when I first played that world and I thought they had broke the settings because there was a birth every few days lol. I didn’t know it had custom lots for other EPs; that’s really nice. I’ll look forward to the many pregnancies! You must have been really surprised before you figured out what was going on. Maybe I’ll just pretend to myself there’s been some kind of economic boom or end of a war and that all the babies are the result of that. I really enjoyed your Generations play-through. 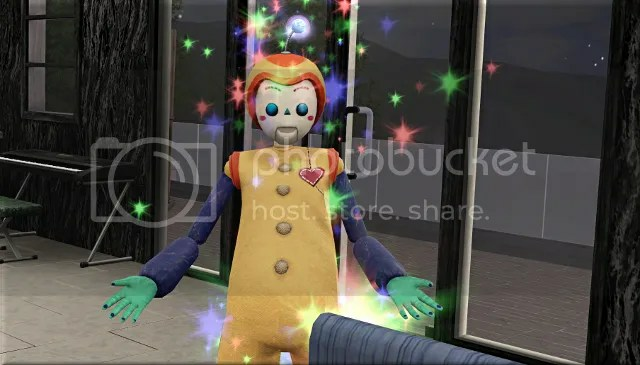 It’s reminded me of a lot of the fun interactions and encouraged me to use them more in my own gameplay – childrens sleepover parties in particular is something I’ve been really happy to re-visit. I don’t tend to be hugely ambitious when I’m playing, so I think it’s only really in the Base Game and Generations that I’ve explored most of the content. I always play with Aging and Story Progression turned on, and I’ve played through most of the careers and always have a mix of ages in each household. Just by doing that, I’ve kind of played through most Base Game and Generations content, it’s the other EPs where I feel like I’ve only explored a tiny part of the available content. 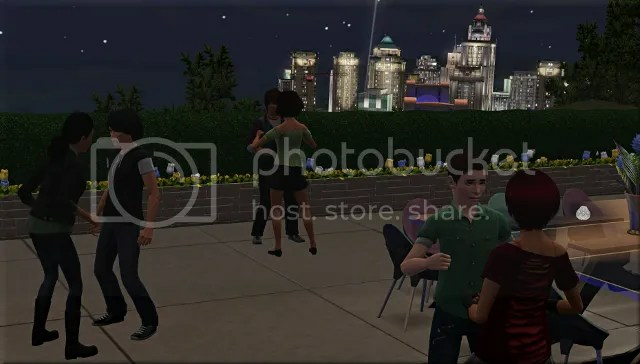 I’m really looking forward to your Pets EP playthrough – I’m really quite fond of Appaloosa plains. I tend to play there if I’ve got a particularly outdoorsy family. As i’ve said before, I love Gardening in the sims 3, and found some of the Store Content items such as the chicken coop and the cows really fit with that neighbourhood – some good ol’ farming folk living the simple life! I also quite like that some of the locals’ bios mention country music, I think it’s got a really nice theme. I’m glad! The sleepovver was a highlight for me, too. I don’t know Apaloosa Plains very well at all, but I’m looking forward to exploring it, especially after hearing that both you and TigerTora really lke it. I’m kind of a secret country music fan myself, so I’m sure I’ll enjoy the references! Do you have any favourite lots to visit or sims to meet? I like the watering hole saloon, the bar is well designed and suits the theme of the town. I agree with missled467, the falls are just beautiful and the consignment store fits the town really well. I also like the cat hangout because of the cat shaped pond. The beach boardwalk is kind of cute, looks a lot like a beach you would see at a lake/pond. The kiddy pool at the public pool lot from a birds eye view is a grinning animal face that gave me a lol when I first saw it. I also have an affinity for the main street were most of the rabbit holes and businesses are. Its not technically a lot per say but its so charming and cute and the rabbit holes are really well designed in my opinion. I really enjoyed having my test family take their dog for a walk along that street while exploring the town. I like the npcs in the town as well, I think they have a lot of character and are well designed. I’m sorry, I totally missed this comment!! I’m loving all the things you mentioned too, especially that cute cat-shaped pond and all the distinctive personalities of the NPCs. And I know what you mean about the beach looking like a little lakeside place; in fact it reminds me a lot of some of the places I visited on holiday as a kid. I haven’t checked out the public pool yet – I’ll have to remember to do that in the next part! Maybe Cassandra can take Tamsie for a swim there. 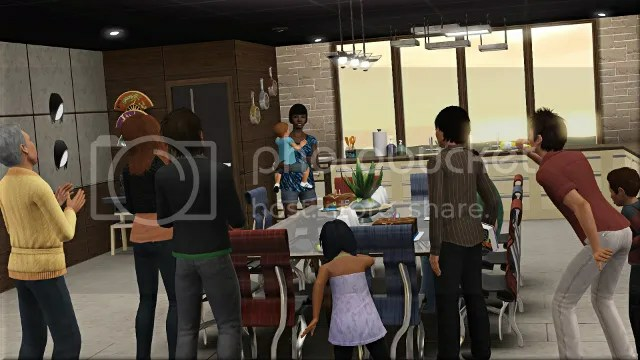 The world is really beautiful, the last family I played in Appaloosa Plains lived in one of the lots that back onto the ridge – they have really gorgeous views. The horse ranch has a good variety of the riding training objects, and Cinnamon Crest Falls is a beautiful fishing spot. They also have a really nice consignment store specifically built to the world’s theme. I tend to (rather un-originally) have any ‘first generation’ singleton tame the town bachelor Benjamin Schmidt. I also enjoy the Riffin and Parrott families. 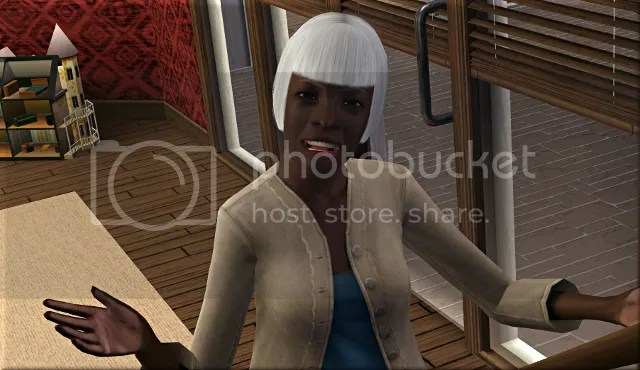 And if I don’t watch the adult male inhabitants of my household closely enough, they tend to start an affair with Honey Darnell – she’s a flirty country singer who is apparently irresistible to my sims!! That all sounds wonderful! I know the lot you mean, I think; I would have liked to have built my house there, as it has the nicest views, but I needed something bigger so I went for the 50×50 that used to be the festival lot. I’ll look forward to using the consignment store. I’ll definitely be doing some gardening, so perhaps I can sell any spare fruits there.